When rescuers received a call about Millie, they found the stray dog so sick that she couldn’t move. When they arrived to get her, it was raining pretty heavily, and the look on Millie’s face was one of pain, and helplessness. The rescue team covered her with a blanket, and brought her into the nearest animal hospital for treatment straight away. Millie needed urgent surgery or else she would not survive. The very next day after surgery, Millie was up and about and seemed to be feeling loads better. It still took several weeks for the infection to completely clear her body, but she did make a full recovery. If Animal Aid Unlimited had gotten to Millie even just a short while later, it really may have been a different ending for Millie’s story. Thanks to them, and the wonderful medical staff, Millie has another shot at a happy and healthy life. Animal Aid Unlimited is a name that many of our regular readers would probably know. 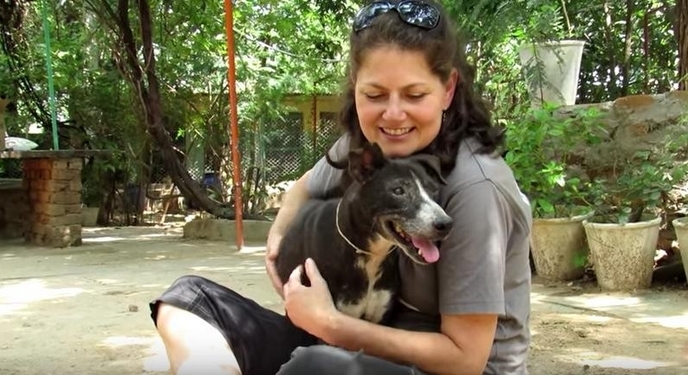 They’re based out of India, and they do a lot of really amazing work with the really huge stray dog population there. As soon as they found out about Millie and how badly she needed rescue, they sprang into action, doing what they do best. 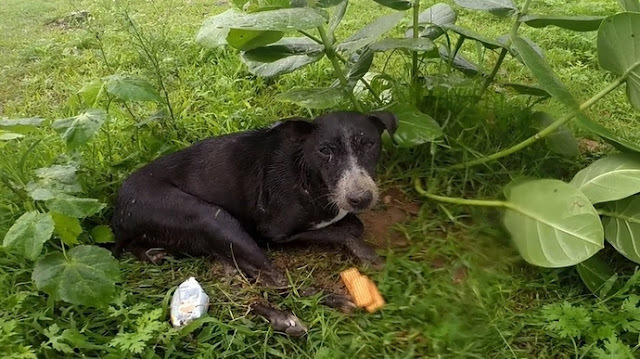 Responses to "Stray Dog Too Sick To Move Sits In The Rain Until Help Arrives Just In Time"
Thank God for these kind people who saved this angel, God always bless you.